Designer Rob Key crafts doors, stair railings, balconies and gates from iron. Photo by Nathan Harmon. Designer Rob Key crafts doors, stair railings, balconies and gates from iron. Photos by Nathan Harmon. 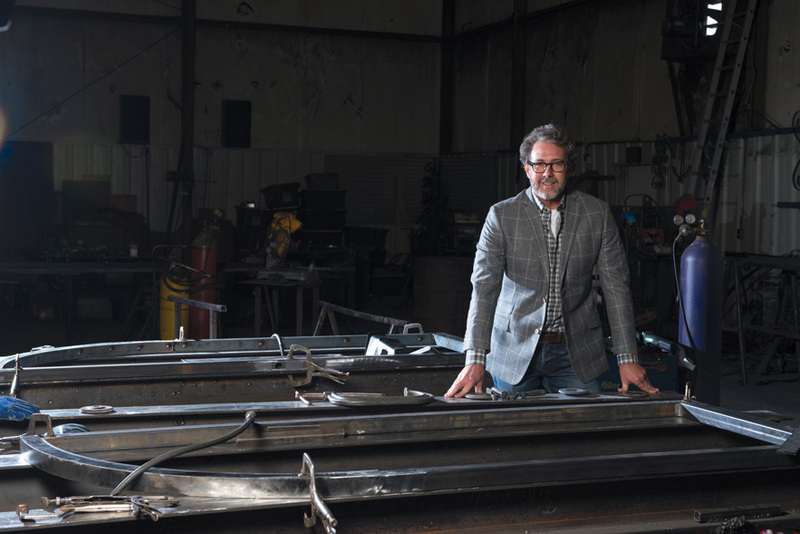 After working on “Billionaire’s Row” in West Palm Beach, Fla., for five years crafting custom architectural ironwork for some of the nation’s most luxurious homes, nothing much phases Rob Key, owner of Rob Key Designs in Tulsa. He spent several months creating ornamental iron stair rails, decorative gates and bronze grills over the windows for a 64,000-square-foot, $107 million home that at the time was the most expensive newconstruction home in America. The wealthy neighbors included an eclectic mix of the rich and famous, from Rush Limbaugh to Rod Stewart. Key worked on Donald Trump’s Mar-a-Lago estate, the 114-room villa originally built over four years in the 1920s by Marjorie Merriweather Post. He also spent time creating custom ironwork for the home of the late Malcolm Glazer, former owner of the Tampa Bay Buccaneers. It was quite an adventure for the tall, lanky kid who grew up in the small town of Oilton, Okla.
“At that point in my life, everything was about basketball,” he laughs. Key played college ball but now laments the fact that the small school he attended didn’t offer any arts courses. After college, he headed back home to work for his father’s company. He learned welding while overhauling turbine engines used in aviation and received experience handling the exotic metals those repairs required. He eventually became a Tungsten Inert Gas (TIG) welder and was certified by the Federal Aviation Administration. Key’s designs have been shipped to homes all over the country. Each design carries his signature. Photo by Nathan Harmon. But after awhile, Key was ready to move on, and for nearly five years he ran his own FAA repair company and worked on virtually every part required to hold an airplane together. “And that process required exact precision,” says Key. It was Sept. 11, 2001, that changed the trajectory of his career. The terrorist attacks that day took a toll on the aviation industry and caused Key to consider other uses for his extensive experience in ironwork. It’s what eventually led him to transition his iron skills into crafting ornamental ironwork in Florida. “I knew how to weld. This experience taught me how to forge. I came to art late in life,” says Key. Once he grasped his passion for design, he continued to push himself. Key says he loves the artistic and creative process. “Instead of repairing something, I was creating something,” Key says. He began sketching designs that he would hand-forge into distinctive ironwork. In 2005, Key moved back to Oklahoma from Florida, unsure of what he was going to do. “My brother owned a flooring company, so I helped him out when he needed it,” says Key. During that time, he met contractors around Tulsa. 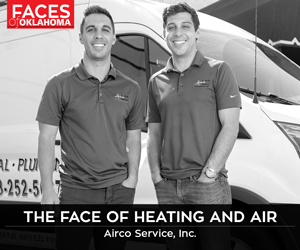 He rented 1,000 square feet of space in Bixby. He exhibited examples of his work in a Parade of Homes tour, and within a few months he expanded his workspace to 7,000 square feet and hired three employees. He primarily produced ornamental stair railings, balconies and gates. “Then I started making doors, and all of a sudden we had to double our space,” he adds. His doors serve as entrances to homes in Oklahoma as well as Arkansas, Kansas and Texas. “I’ve even shipped a set of doors to Brooklyn,” he adds. 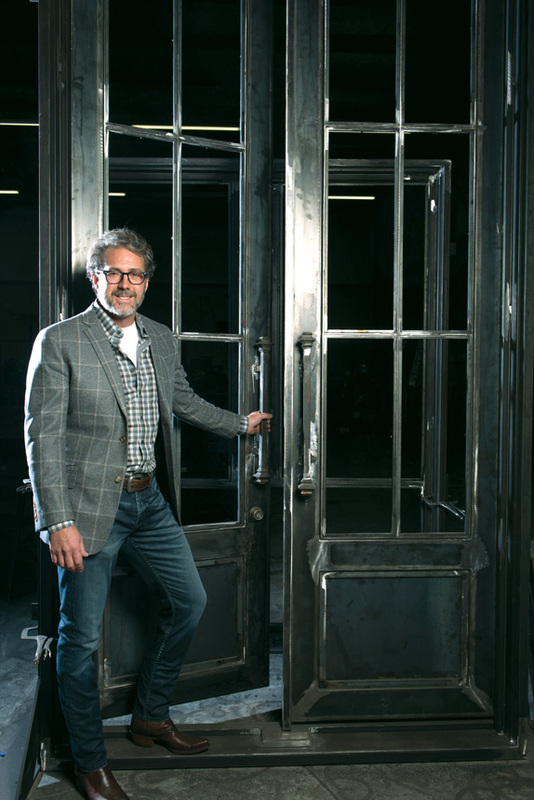 Interior designer Kent Oellien, owner of Oellien Design, Inc., in Tulsa, has nothing but accolades for Key after working with him on several projects. Each design carries his signature. Photo by Nathan Harmon. Key hand-sketches all his designs and excels working in various styles, from traditional scrolls influenced by English, French and Spanish designs; to the clean lines of transitional and modern styles. What also distinguishes Key’s work from others is that none of his products are pre-fabricated. Everything is hand-forged, beginning with the raw iron ore that is heated to 2,300 degrees to become malleable. Each piece is then hammered by hand into a pattern. Key has also cultivated his affinity for art into a series of metal-crafted sculptures, mainly for his own enjoyment. And although he’s only had a couple of small shows, he has been contacted by designers from New York City who are looking at his sculptures for high-end hotel clients. Key is most excited about a new expansion of his business. “I am building a spec house in southeast Tulsa,” he says. The style is transitional to modern with large, open areas framed with his hand-crafted iron windows and sleek iron doors. It’s a style he and his wife, Melissa, preferred for their custom home; Key crafted a stunning open iron staircase with a glassed-in wine storage space tucked under the stairs. Typically, Key doesn’t craft iron furniture or accessories, but he made the exception for his own house and created a custom wine rack. As Key reflects on how his business has thrived, he is mindful of the constant process to give energy and detail to each and every ironwork project. 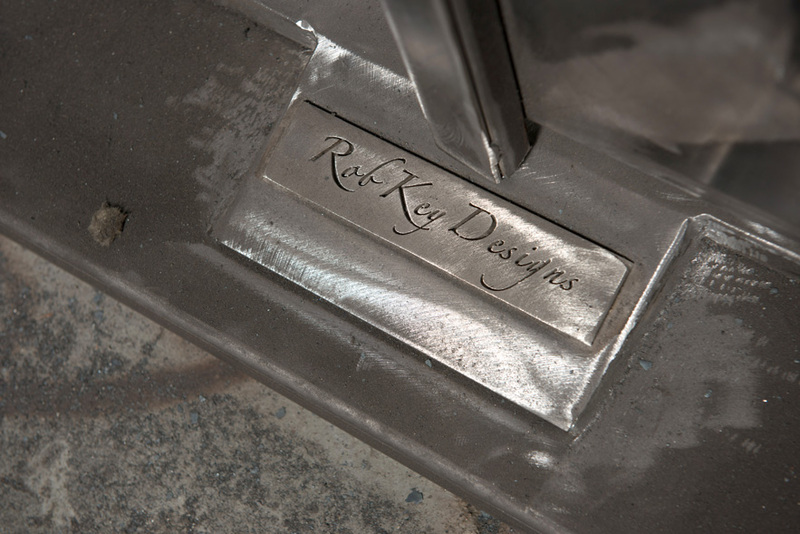 Key continues to transform his passion for ironwork he discovered years ago.